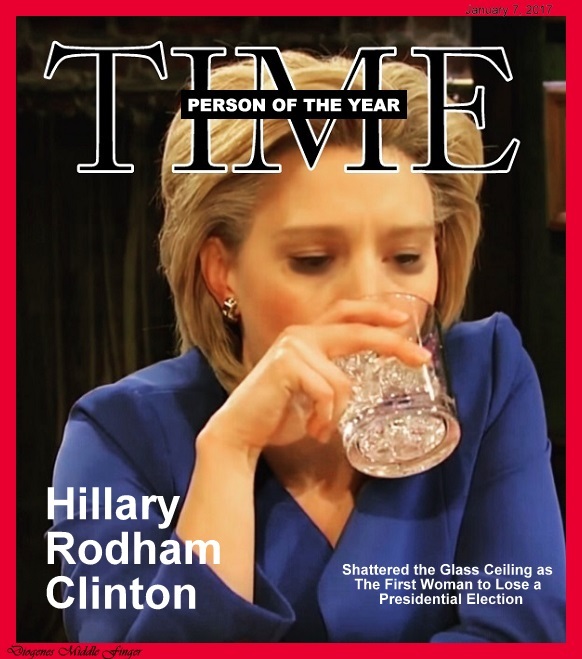 Time should name Hillary its Person of the Year. Get it all out in the open. Let the staff praise her like "Saturday Night Live" did in that "Hallelujah" opening. The cast had not been as somber since its first post 9/11 show. Publish those paeans to her that your staff giddily wrote in anticipation of her coronation. It's OK. This award will be therapeutic and profitable. While a plurality of American citizens elected Trump, a plurality of American residents voted for her. They'll buy copies, sure. This award will cement Hillary's place as a stepping stone for that future First Woman President -- likely a Republican -- who will break that mythical glass ceiling. This award will finally show the world once and for all the anti-conservative bias of Time-Warner and all its properties, including CNN. Embrace it. In fact, use it as a marketing tool. You see the big problem with the media is that it lies to the public about its bias. In so doing, the staff of Time and the rest show a contempt for the people they lie to. Americans are insulted. Media credibility is so low it no longer exists except in the heads of a smaller number of people than believe the moon landing was fake. Come out of the closet. Show some Caitlyn Jenner courage. Be who you are. Liberal. Trump won't mind. Oh he will Tweet of course. But look what happened to Merkel. After you bypassed The Donald for her a year ago, Germany went to pot. I do not want that for my country. Hillary is a good choice all the way around. Her life cannot get worse, and America will be spared the Curse of Time's Person of the Year.